It's actually made of potato starch. Simply turn it over and read the bit to the left of your address to find out how to dispose of it responsibly. It does contain a nice shiny new Yellow Card - to share across the household! Don't get excited. I'm sure the sentiment is well meant but execution is poor. Referring to the link which lists the discounts available is underwhelming. Perhaps the Scout Association isn't aware of the discounts available nationwide. Places like Black's, Milletts, Mountain Warehouse all offer discount to scouting if you can prove you are a member. There lies the rub! Proving you are a member if you don't have a neckerchief is difficult. I recently proved my membership by offering my NAP card. Referring to the link which lists the discounts available is underwhelming. 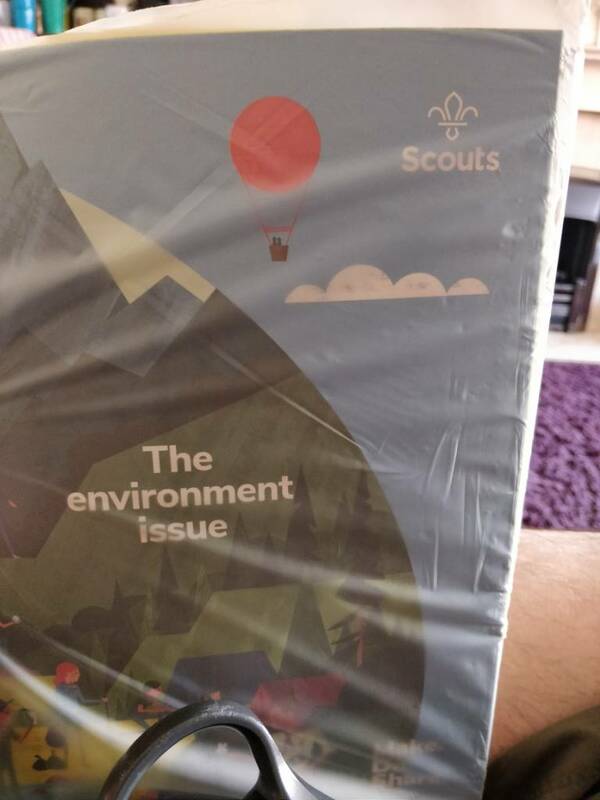 Perhaps the Scout Association isn't aware of the discounts available nationwide. Places like Black's, Milletts, Mountain Warehouse all offer discount to scouting if you can prove you are a member. I suspect they are intentionally making the distinction here of people they have formal partnerships with. Go Outdoors currently sponsors Nights Away/Hikes badges. I imagine part of the deal on that is a strap-line of "Preferred/ Approved outdoor supplier". At least this new cards give you one more way of persuading anyone (be that Millets/ Black, a local supplier or insert any company your buying stuff for Scout here) you are part of Scouting without a membership card.